Color: Blue - Description: Blue vest made from virgin wool, with black satin buttons and pockets trimming; elastic on the back. - Details: 100% Virgin wool. Dry clean only. 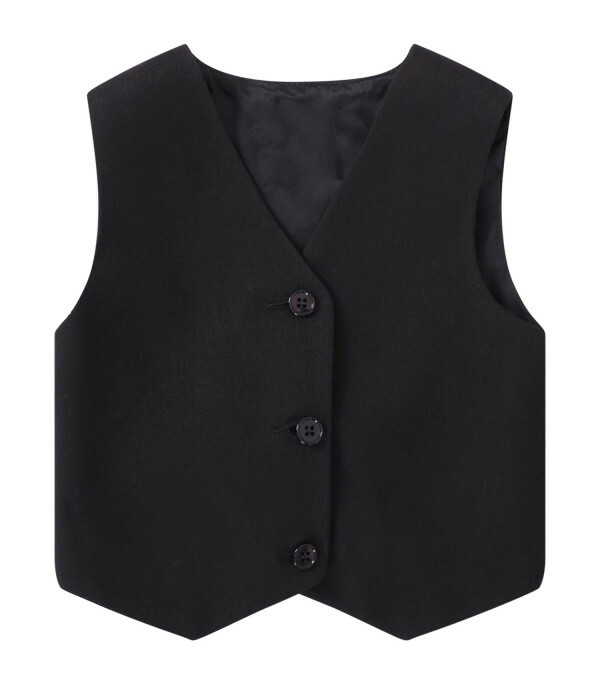 Description: Blue vest made from virgin wool, with black satin buttons and pockets trimming; elastic on the back. Details: 100%Virgin wool. Dry clean only. Launched in 1999, this Italian brand is the brainchild of designers Massimo Berloni and Manuela Marlotti. With a primary focus on manufacturing jeans, they eventually moved into total looks for kids. Every season, Dondup continues working with new materials, creating unique, eccentric pieces with special attention to craftsmanship and quality. Pulling inspiration from its adult collections, Dondup reworks its signature pieces for boys and girls, who love to express themselves through their own personal style. Here you can find over 100 clothing by Dondup, for your boy and your girl.